I didn’t read many kids books when I was a boy. I preferred reference books with pictures. I especially liked books about famous people, artists and explorers. As well as books about history, art and architecture. My parents called me ‘Jimmy’. They never referred to me as Leigh. I didn’t think to ask why. My greatest fear is the world knowing my greatest fear. My text says the opposite to what’s in the illustrations. This question is too difficult. Old Tom. He’s a survivor and he’s got someone who loves him. I would go back to 1760. I like the clothes, the music and the architecture then. I’d not want to stay in that year for very long. I’d hate the lack of sanitation and electricity. Congratulations. You always wanted to be an artist and ‘go to England’. And now your books are there, and so are you twice a year. The work of artists who are far better than I will ever be. Draw is a word I like. I like drawing. Treasure Island. My father used to read it to me when I was very little, at bedtime. That book summons up the wonderful images which thrilled me as a child. Pirates, sailing ships, and buried treasure! Leigh Hobbs is a much loved Australian author and illustrator. 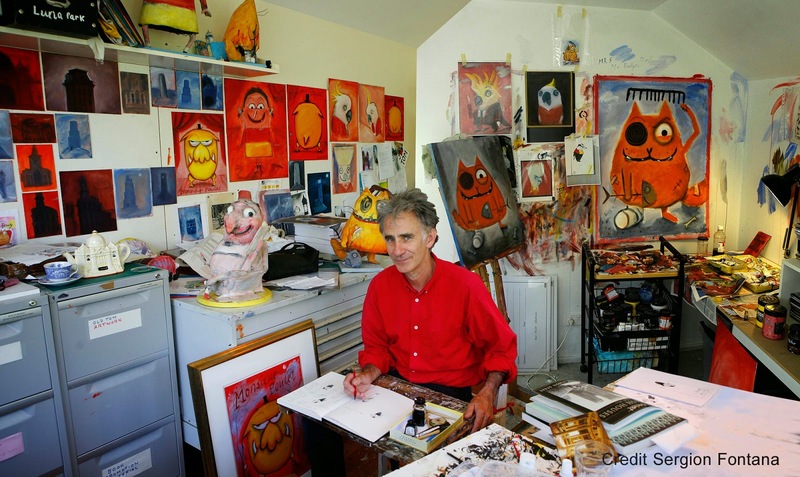 He is best known for the children's books he writes and illustrates featuring the characters Old Tom, Mr Chicken, Horrible Harriet and Mr Badger. 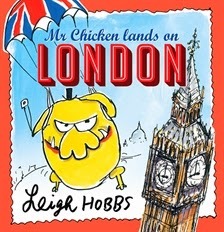 Leigh's latest book, Mr Chicken Lands on London, is published by Allen & Unwin and was released in July 2014. Visit Leigh's website for more information about his books, illustrations and artwork.